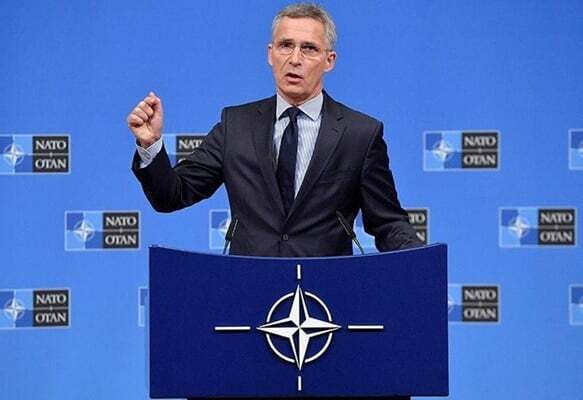 Iran’s foreign ministry has dismissed allegations raised by the NATO Secretary General against Iran’s missile program and regional policies, saying that Jens Stoltenberg had better be concerned about the unilateral and dangerous policies of the US. In a Wednesday statement, Foreign Ministry Spokesman Bahram Qassemi said the Islamic Republic of Iran, which is itself a major victim of the terrible phenomenon of terrorism, has played the most effective role in ending the rule of terrorist groups, including ISIS, in the region. He said Tehran’s fight against terrorism comes as certain countries and their allies have just been engaged in creating “fake” coalitions against the terrorist movements. “Contrary to the statements of the NATO Secretary General, Iran’s constructive role in stabilising the Persian Gulf region and the Middle East has been acknowledged by a large part of the international community,” he added. Qassemi further underlined that undoubtedly, many European countries should be thankful for this sacred struggle to suppress the terrorists in the region, and they should not cast doubts on such policies that have been constructive and effective in providing them with security. “The Islamic Republic of Iran has always sought dialogue and close cooperation with its neighbours, and believed in the strengthening of security in the Middle East by the regional countries. Tehran denies any presence and intervention of foreign military and security forces in the Middle East and Persian Gulf under the pretext of providing securing,” he added. The foreign ministry spokesman also rejected the NATO chief’s statement regarding the missile program of Iran saying the program has a defensive and deterrent nature. He also underscored that Iran, like all independent countries of the world, has the right to use conventional military-defence programs to defend itself. Qassemi also pointed out that the International Atomic Energy Agency (IAEA) and the international community have for several times confirmed Iran’s adherence to its nuclear-related commitments under the Joint Comprehensive Plan of Action. “The NATO Secretary General had better be more concerned about the unilateral and dangerous policies of Washington and the non-compliance of this NATO member with its international obligations,” stated Qassemi. In a press conference on October 2 and ahead of the meetings of NATO Defence Ministers in Brussels, NATO Secretary General Stoltenberg said all allies are concerned about Iran destabilising activities in the wider Middle East region, and the NATO strongly condemns the financial support for terrorism, including Iran’s support to a variety of armed non-state actors. “We are also, of course, concerned about their missile programme and we are committed to ensuring that Iran’s nuclear programme remains peaceful,” added Stoltenberg. He is a traitor to his own country and a traitor against humanity. stoltenberg got that as a reward for selling out his country and should be hanged until death.